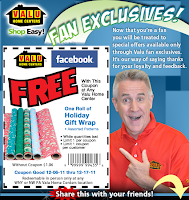 FREE Roll of Wrapping Paper from Valu Home Center! Print out this coupon and bring it to your local Valu Home Center for a FREE roll of wrapping paper! Expires 12/17/11. Click here for locations.